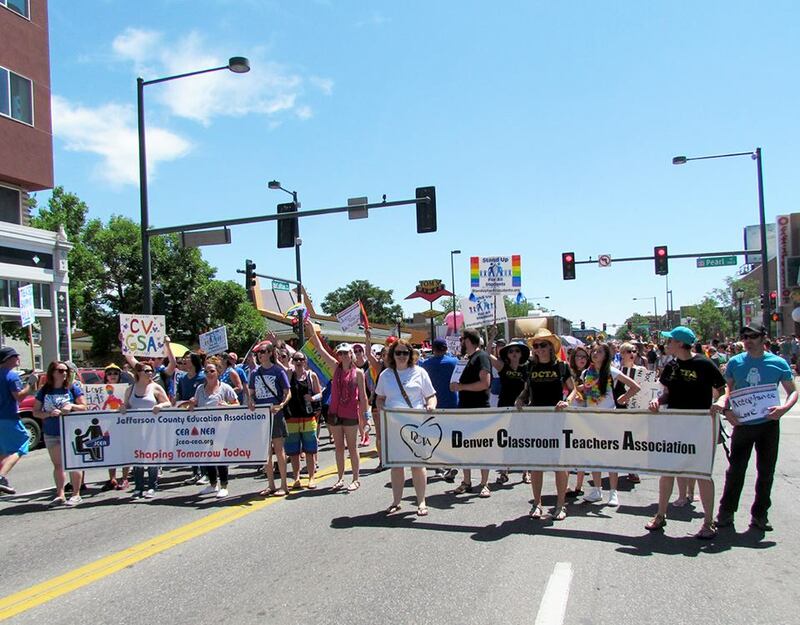 March with DCTA as we celebrate diversity and embrace LGBTQ pride! On Sunday, June 18 the annual Coors Light PrideFest Parade starts in Cheesman Park and makes its way west down Colfax Avenue directly to Civic Center Park. Denver PrideFest is now the 3rd largest festival and seventh largest parade in the nation! Join us as we march again this year! We are meeting in the Park at 9th & Race at 7:30am and our official sashay start time is 8:30am. Those who arrive early can help decorate our parade vehicle! Wear your pride colors as we celebrate love! Homemade signs are welcome. Bring friends and family and get your sashay on! Plan to arrive early (carpool, taxis, public transportation, etc). Parking will be scarce. We’ll have water and sunscreen.